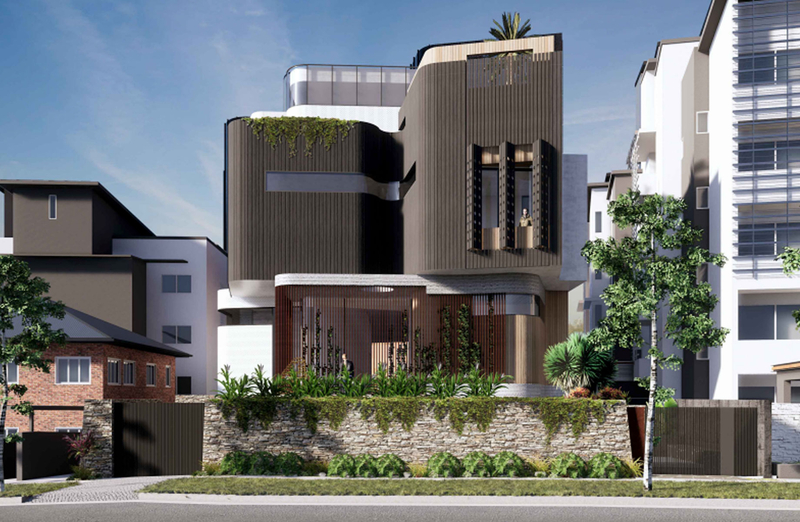 One of Brisbane's best parcels of land is now the site of one of the city's most ambitious houses, according to a development application lodged with Brisbane City Council. 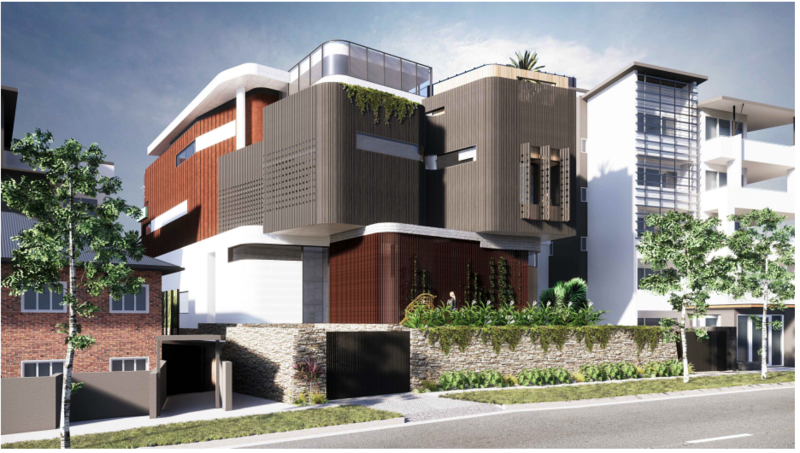 The vacant clifftop block, located at 31-33 Moray Street, New Farm recently sold to local businessman Jamie Pherous and his family for a suburb record of $11.3 million. The proposal includes a 4-storey house with a basement level of car parking and recreational facilities. Located on land zoned medium-density residential, the impact assessable application is currently in front of Brisbane City Council, according to CityShape's new DA Tracker. 31-33 Moray Street, New FarmCityshape. Designed by Tim Stewart Architects, the proposal includes basement car parking, games room and gymnasium that leads out to a clifftop pool and pool deck. The upper ground level will comprise a media room, office, study, laundry and combined living, dining and kitchen terrace at the rear. Level one will include a master suite with expansive dressing room, ensuite and storage room and is accompanied by five bedrooms each with an individual ensuite. And on the uppermost level, the proposal includes an entertainment room with kitchenette, roof terrace and pool and guests quarters. Jamie Pherous is the founder and managing director of Corporate Travel Management, one of the largest travel management companies in Australia. He started the company in 1994 and later floated it on the Australian Securities Exchange (ASX) in 2010. The proposal comes amid growing confidence in the Brisbane residential market with BIS Oxford Economics predicting Brisbane will lead the Australian capitals with 13 per cent property price growth predicted by 2021. The average price of a block of land in New Farm is $2.6 million and the previous record for a vacant lot in the suburb was a $5.5 million sale to a developer. To stay informed on development applications, sign up to CityShape's powerful new DA Tracker for free today.